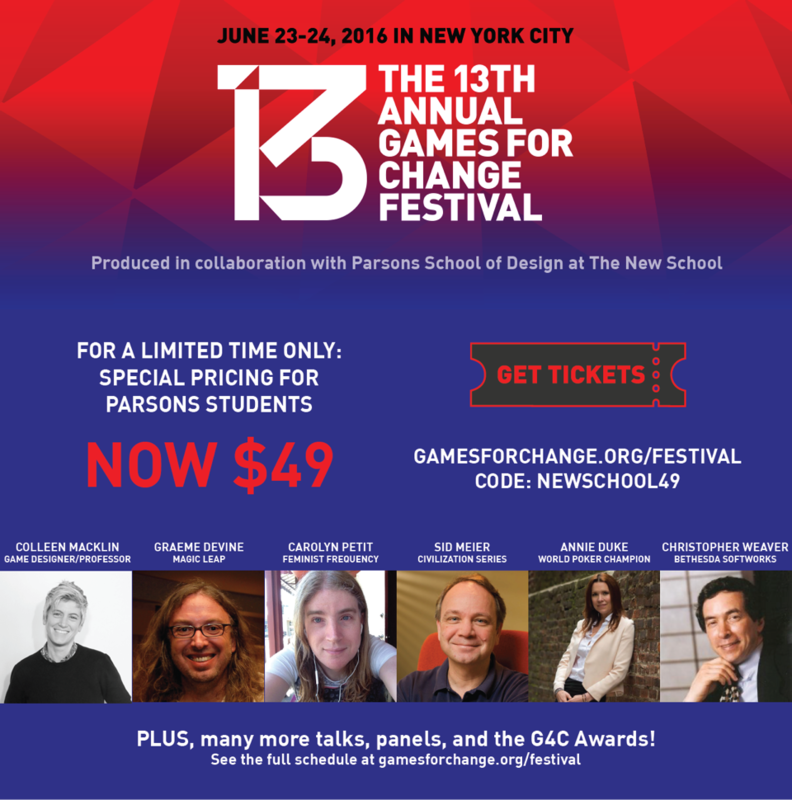 The 2016 Games for Change Festival, produced in collaboration with The New School’s Parsons School of Design, offers two days of keynotes, panels, workshops, networking events, and arcades. Explore the latest impact games in three tracks of programming: Civics & Social Impact, Neurogaming & Health and Games for Learning. Games for Change would like to offer all New School students a deeply discounted ticket price so everyone who wants can attend. Receive a $330 discount when you use the code NEWSCHOOL49 at checkout. Visit the website for more information or follow this link to get your passes today.